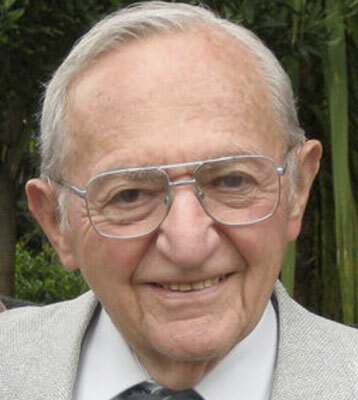 LOS GATOS, CALIF.  Bertram N. Heyman, 93, formerly of Youngstown, died March 2, 2013. He was born in Youngstown to the late Harry and Gussie Heyman on June 7, 1919, where he worked in his fathers grocery store. Berts education at Miami University was interrupted by World War II, where he proudly served as a fighter pilot in the Pacific Theatre. He was a decorated veteran who flew 57 combat missions during his service in the Air Force. In 1945, he married Esther Kolman, and they moved to Los Angeles and raised two sons. A job promotion with the International Order of the Foresters led to their move to Los Gatos in 1973, where Esther passed away in 1981. Bert and Ida Cutler were married in 1983 and they shared their love of travel and community. Bert showed kindness and compassion to countless people and organizations throughout his life, and truly never met a stranger. He was proud of his Youngstown roots and spoke of his childhood fondly. Bert is survived by his beloved wife, Ida Heyman and her two children, grandchildren, and great-grandchildren; adored sons, Steven Heyman of Los Angeles and Kenneth Heyman and wife Kimber of San Francisco; brother Dr. Louis Heyman of Michigan; cherished nieces and nephews; and a host of dear friends. He was predeceased by his first wife, Esther Heyman; sister Helen Heyman-Cohen; and brother Alfred Heyman. Donations in his memory may be made to www.Run4Papa.com for Primary Progressive Aphasia research. Funeral and interment will be at Los Gatos Memorial Park on March 10. « Be the first to sign BERTRAM N. HEYMAN guestbook.